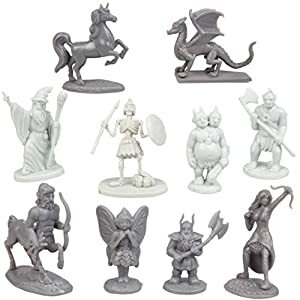 Buy SCS Direct Fantasy Creatures Action Figure Playset – 90pc Monster Battle Toy Collection (Includes Dragons, Wizards, Orcs, and More) – Perfect for Roleplaying and D&D Gaming at Discounted Prices ✓ FREE DELIVERY possible on eligible purchases. 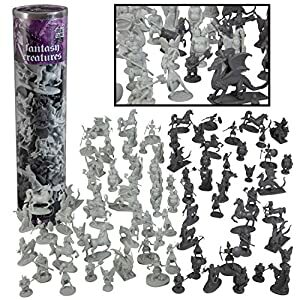 Fantasy creatures action figure set includes 90 different monsters and fantastic creatures. Toy collection features dragons, elf warriors, centaurs, orcs, skeletons, and more!